A refreshing yet saddening account of plagiarism was written about in the Financial Times: Plagiarism is more than an academic matter. The case of a well-known ‘hot-shot’ journalist was revealed by a blogger ten days ago. At the time of the FT article, the journalist in question was suspended from duty, however has apparently been reinstated in the meanwhile. Slap on the wrist, therefore, nothing more resulted as consequence of his actions. The New York Times also wrote about the matter (more like topic at hand), and did so with an air of defending all ‘fellow’ journalists: Dancing on the Edge of Truth. There have been occasions where academic credentials are questioned when (much) later on is revealed that a thesis is plagiarised in (large) parts. These have been Finnish politicians. Seems that their latest profession almost calls for such talent, and thus they have mostly been exonerated (as far as I know). This almost instantly brings to my mind my PhD thesis that I chose to write as manuscript although most science PhDs in Finland do this in the form of a ‘bunch’ or simply collection of articles with foreword and lengthy introduction / summary. The thing is, one of my co-authors objected to the wordings in some of the content chapters saying they were too similar to the articles themselves. Then again, my name was in the articles, and now this was the thesis that was supposed to be consisted of those articles. Thus, rightfully, my supervisor ignored the objections. 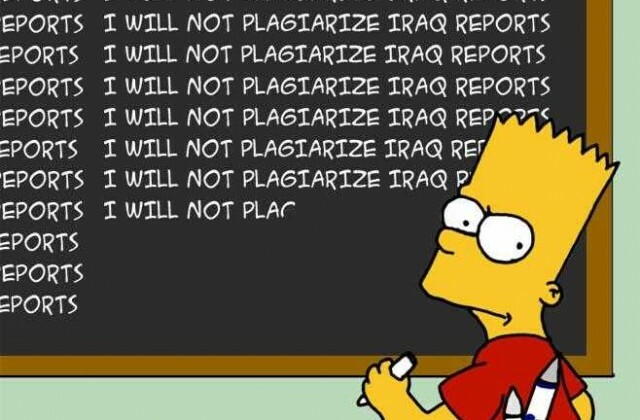 These, however, can be the most ‘right-wing’ arguments pertaining to plagiarism. (How) then can you plagiarise your own text? What if you wrote it together with someone, or even shared the work so that one wrote and the other did analysis? The ‘holy trinity’ of research articles has tended to be 1) working paper / conference proceeding 2) research article 3 ) book chapter, all based on the original idea and (mostly) analysis. Why would you not be allowed to use the same wordings? After all, in many scientific cases there are concise and terminologically correct ways of expressing certain things that cannot easily be avoided. Also, these three stages (you could substitute book chapter by Thesis, or even add Thesis to the line of publications) are rather universally acknowledged as not being overlapping forms of publication, not even in the eyes of (commercial) publishers themselves! What you must avoid doing, however, is re-publishing (or jointly publishing) your work in several scientific journal series. Even this one sees blatant examples of, where people ‘milk’ their sole idea and manage to wrap it in slightly different parcels for similar audiences. I would say that is borderline of self-plagiarism, however probably rampant in academic (perhaps journalist too) circles, simply due to the pressure to produce more, more and more, besides faster. No wonder audiences (both of journalism and academic literature) are met with a staggering pile of worthless babble, and must sift through the information chaos to reach the level of standards they wish to imbibe. A related thought that comes to my mind is about picture plagiarism, that photographers and graphic designers have had to deal with forever.. and has been made significantly worse in the net age. At the same time, giving credit to someone for their work (name/link) should be welcome form of accepting the other’s praise in (re-)using the product and thus creating (free) advertising. This is what facebook and twitter are aiming at after all.. from the commercial perspective. Right?